Salt farmers in the Mekong Delta province of Bac Lieu are in a quandary over continually decreasing price of salt. Farmer Tran Van Thang in Binh Dien hamlet in Long Dien commune of district Dong Hai said that salt making is very strenuous and the continually decreasing salt prices are discouraging people from working in this profession. Thang has now switched three hectares of salt making area into breeding tiger shrimps although he has been in the business of producing salt for the last ten years. Similarly, farmer Nam Ninh, Thang’s neighbor, has converted his salt making land into a pond for raising shrimps. However other salt farmers are still deliberating whether to continue making salt as a result of continual drop in prices. 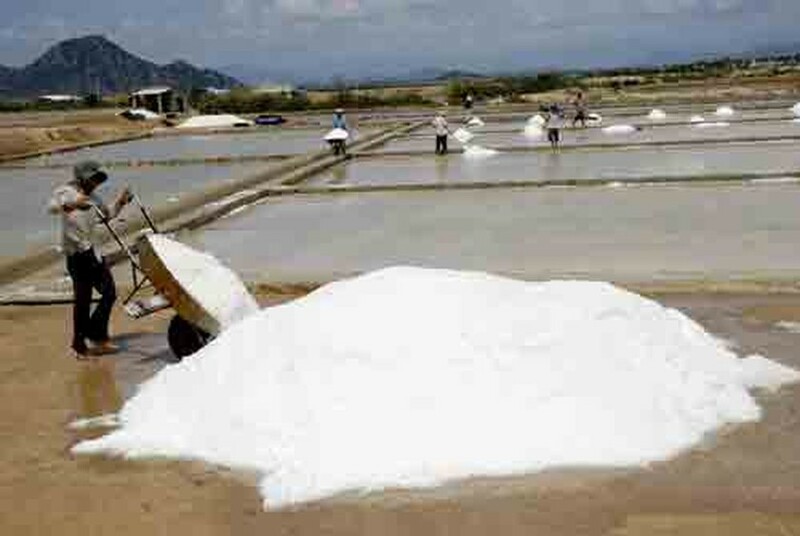 Mai Thanh Hung, deputy chief of the Department of Agriculture and Rural Development in district Dong Hai, said the task of making salt is very precarious at this time and therefore farmers have converted their land into shrimp breeding farms as shrimps are presently raking in good profits. The department of agriculture and rural development in the Mekong Delta provinces say salt farmers find it difficult to earn a lucrative income in their trade. They barely make ends meet as individual farmers work in very small fields and unstable pricing continues to worsen their situation. Presently salt farmers are in a dilemma as thousands of tons of salt is still lying in stock with them as they have been unable to sell, with traders refusing to purchase after the drop in retail pricing. Farmers need to sell their stock urgently before the start of the next season in November and have requested the government to move in to take action to resolve this issue, as they need immediate capital to begin the next season. 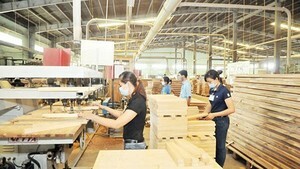 Traders proposed purchasing white salt at VND1,000 per kilogram and black salt at VND600 per kilogram. However, now they seem unwilling to negotiate once the price of white salt dropped to VND800 a kilogram and VND500 a kilogram for black salt.